1. 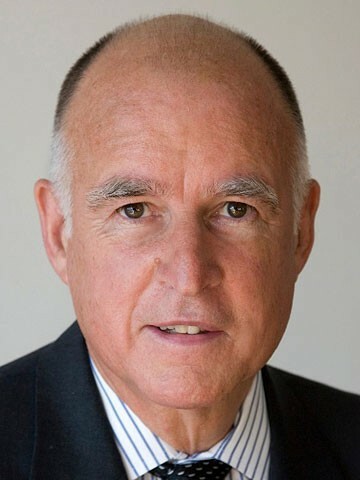 A San Francisco judge has ordered the California Public Utilities Commission to legally justify its refusal to release emails involving Governor Jerry Brown and the shutdown of a nuclear power plant in Southern California, the Chron reports. Consumers’ attorneys are seeking the emails to determine whether Brown’s office was involved in illegal backchannel talks with Southern California Edison and San Diego Gas and Electric Company, co-owners of the shuttered San Onofre nuclear facility. Consumer advocates are upset about the shutdown deal because it forces ratepayers to cover 70 percent of the costs. The CPUC maintains that only state appellate courts have the right to order the release of the governor’s emails. 2. Some real estate professionals question whether the Oakland Raiders’ plans for building a new stadium at the Coliseum will pencil out, the Bay Area News Group$ reports. The experts say the 120-acre site is not large enough to accommodate both the Raiders’ demands for huge amounts of surface parking and the ancillary development that the team wants to build to make up its $300 million financing shortfall. 3. Housing developers are bullish on building in Berkeley, and there are now 2,500 housing units in the development pipeline in the city, Berkeleyside reports. Developers say the combination of a pro-smart growth city council and high rents is making Berkeley financially and politically viable for housing development. 4. San Francisco Mayor Ed Lee has asked for a US Department of Justice investigation into the police killing of Mario Woods, in a move that mayor said was intended to repair the relationship between police and people of color in the city, the Chron reports. The fatal shooting of Woods, which was captured on cellphone video, has sparked outrage in the city’s African-American community.